At any one time in New Zealand there are a handful of people who choose to devote themselves to the pursuit of experimental music. This is probably not much different to many parts of the world, where experimental art forms are practiced by a tiny minority. However, compared to European artists’ close proximity to a large population in the world's major hubs of contemporary art, New Zealand’s experimental musicians live and work on an island at the 'end of the world'. This isolation has meant that New Zealand experimental music has developed in a unique cultural petri dish, resulting in the emergence of a kind of 'folk experimentalism': small, localised pockets of musicians developing experimental music with a distinctly local flavour. It could be said that even now, in an electronically connected world where local artists are influenced by music from far and wide, and where some may have influence outside of their immediate communities, the majority of these New Zealand musicians still operate apart from, and create work that is distinct from, the rest of the experimental music world. Braille Records concert poster | © witchdoctor.co.nz Across the country there have been distinct scenes which have developed their own style. In general, these have been the result of the coincidental convergence of a few innovators in a particular place and time. 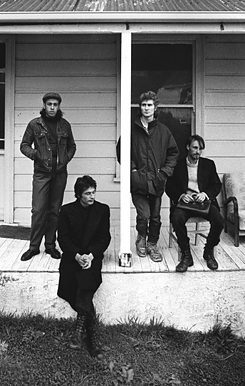 For instance, in Wellington in the 1980s the Braille Collective developed a style of free improvisation that, while borrowing from US free jazz and European improvised music, developed a distinctly local character. From a wider community of musicians, Stuart Porter (sax) and Anthony Donaldson (drums) were the Collective's early protagonists, planting the seeds of this new approach to playing music in New Zealand. 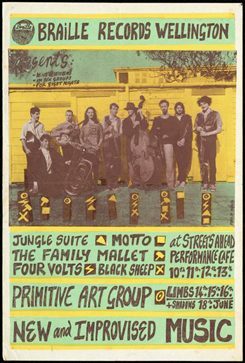 The Braille Collective cultivated a dedicated group of musicians in Wellington that would spawn a plethora of bands including Primitive Art Group, The Black Sheep, The Family Mallet and others. Primarily self-taught, the Wellington musicians' approach emphasised group improvisation and the pursuit of a unique individual sound. In comparison to improvised music from Europe and the US, the Braille sound was characterised by playfulness, and a willingness to reference different musical styles and to drop into rhythmic grooves. This wasn't the fire music of African American free jazz or the heady intellectualism of European improvised music. It was certainly serious music, but in the context of New Zealand in the early 1980s, with its relatively quiet political climate, this music was free from the raw, heavy cultural and political overtones of its overseas counterparts. Braille Collective performing My Name is My Motto, with Gerard Crewdson dancing (foreground) | © www.soundexplorers.co.nz This initial flowering of activity still resonates in the city today. It is essentially an oral tradition (recordings and writings are only sporadically published) with knowledge passed directly from artist to artist. Through this direct contact, the ethos of the Braille Collective influenced a younger generation of improvising musicians in Wellington in the late 1990s and 2000s including Jeff Henderson, Chris O'Connor, Tom Callwood, Alphabethead, Riki Gooch, Leila Adu and many others, who have in turn become leading musical innovators in New Zealand. There is a similar but contrasting story of a vernacular experimental music tradition in the South Island, particularly in Dunedin. Many of the trailblazers in Dunedin and Christchurch from the 1980s are still active, including Alistair Galbraith, Michael Morley, Peter Stapleton, Bruce Russell and others. 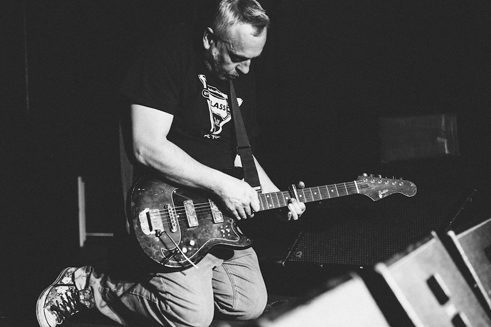 Russell's record labels Xpressway and Corpus Hermeticum, as well as his writings, have been significant in garnering interest in this music from further afield, and this scene is often a reference point for those listening-in to New Zealand experimental music from abroad. 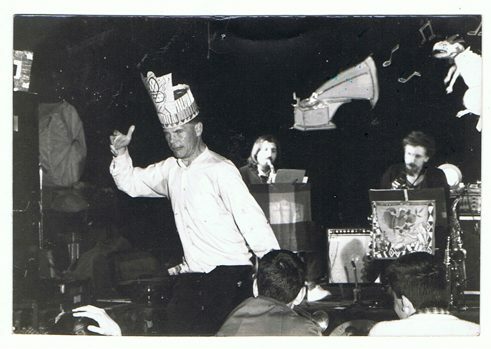 In comparison to the Braille Collective's free jazz approach, the Xpressway sound emerged largely from a rock music tradition, while incorporating influences from various avant-garde forms. Being beyond "music," it is noise. Being beyond "rules," it is free. The manifesto is a considered piece of writing, and it also exhibits a healthy disregard for formality as well as a punk attitude. These seem to be common traits amongst Dunedin musicians including the newer generation of experimental musicians such as Clayton Noone, LSD Fundraiser, Murderbike and Negative Nancies, to name a few. While perhaps not adhering strictly to the tenets of the Free Noise Manifesto, these artists display the same disregard for convention and a willingness to enter uncharted territories that has long characterised the music of that city. The Braille Collective and Xpressway artists are two examples of home-grown experimentalism that has sprung up in New Zealand. Both share a genuinely exploratory ethos, creating music that doesn't comfortably fit into existing boxes. It is this principle of developing an idiosyncratic sound and approach to music-making that continues to be core to the experimental music communities in Wellington and Dunedin. Daniel Beban is a musician and sound artist who lives in Wellington, New Zealand. He performs on a number of different instruments in many groups, including Orchestra of Spheres. Dan invents instruments, build sound sculptures, plays a vital role in fostering experimental music in New Zealand.